Don't let your separation and dewatering operation shut your project down! 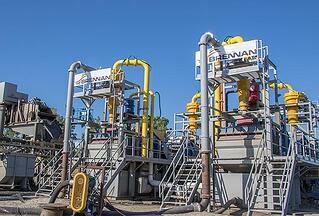 Brennan’s experience in both passive dewatering systems and active (mechanical) dewatering systems will provide the flexibility required in debris separation, sediment consolidation and water treatment challenges. There are several choices and combinations to consider as there is no one-best option for every project. What worked on one project, may be disastrous on another. Because of this we take a much different approach to maximize dredge production, material separation efficiency, and the dewatering process effectiveness. As a result, we can offer more value and cost savings to our clients. 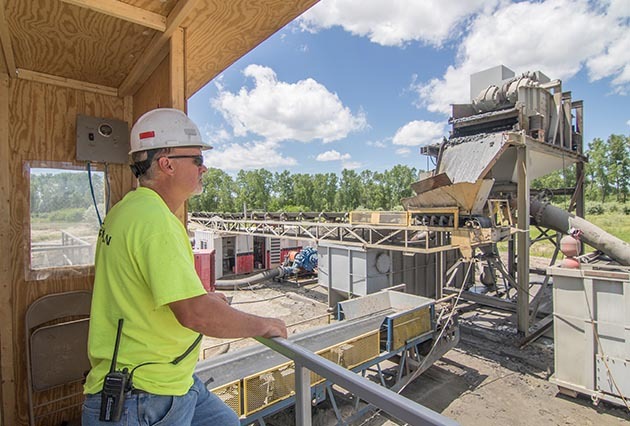 The separation process typically starts with Brennan owned equipment that is specifically designed to match our dredge systems without hindering production. Depending on the geotechnical characteristics of the sediment, Brennan can provide several options to remove debris and sand before sediment processing. This includes our thickener system, hydrocyclones, shakers screens, sand wheels, and more. Once the sediment has been separated, or if it is decided that no separation process is required, then we will either self-perform the final dewatering stage, or team with an industry leader who specializes in a certain process. Typically Brennan will self-perform disposal and dewatering in Contained Discharge Facilities (CDFs) or temporary holding facilities. In the case of mechanical processing we will team with the best companies in the industry for plate and frame and belt press processing. We also will team with companies that are the best in the industry at dewatering geotextile tubes if a passive system is chosen. These strategic teaming arrangements give us the flexibility to implement the BEST system for each challenge without sacrificing production. Water treatment is another critical component of an environmental remediation project. It is our policy to again team with industry experts in water treatment. This has enabled us to bring a flexible approach to each project to maximize value to our clients. Water treatment plants do not need to be large, permanent structures. They can be portable and temporary, and they can be modular so the system can be scaled up or down depending on the need. Why overpay to have unnecessary water treatment equipment sitting on site that isn’t being used? J.F. Brennan Company specializes in water-based remediation and habitat restoration projects throughout the United States. We have successfully completed some of the most challenging environmental dredging and restoration projects to date. 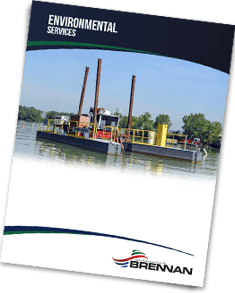 Download our brochure here to learn more about our material separation and dewatering capabilities and other services that we offer. 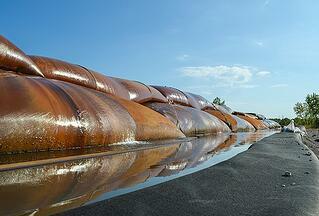 Want more information on Dredging and Dewatering? Fill out the form below!